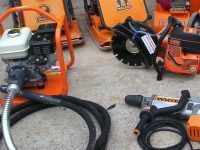 We supply tools and equipment for all your hire needs. Mini Piling Plant Hire stock a comprehensive range of plant, tools and accessories to suit any requirement. PPE & Site Safety Wear.